It was testing his patience when Muhammad Rafiq Beigh saw his five-year-old grandson Ruhaan Lone outside a courtroom in Pulwama. He resisted from hugging him or giving any feeling that the kid belongs to his dead daughter. Ruhaan was living in jail with his father, grandparents and aunt, all accused killers. Knowing that the accused family kept Ruhaan with them in jail to play an emotional chord and seek bail, Beigh did not want the emotions to come in between his year-long struggle to get justice for his daughter. Shugufta, his daughter and Ruhaan’s mother, did not die a natural death but was hit in her head and killed. Until January 15, 2018, when the Police in Tral announced publicly that they have solved the murder case of Shugufta, 31, Beigh was unsure of his struggle. 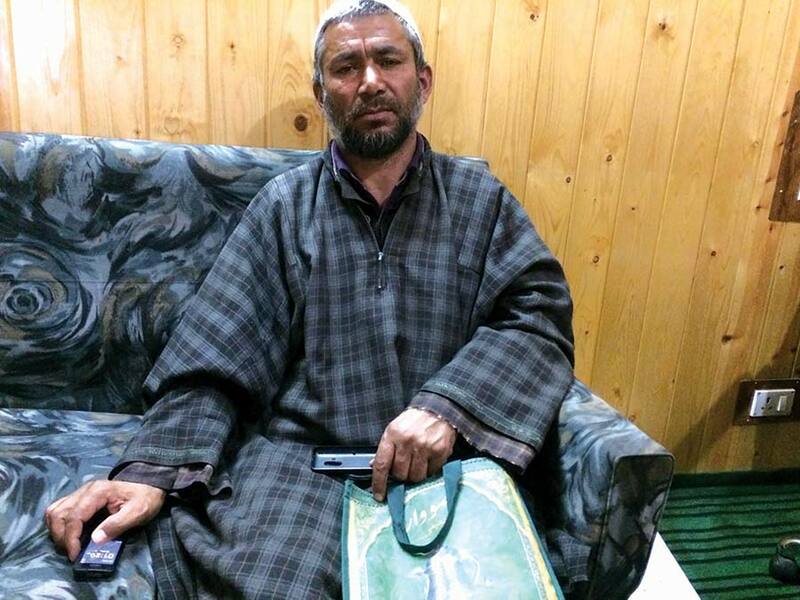 Thoughts about Sajad Ahmad Lone, his son-in-law walking out of the police lockup would frighten him. But the bigger satisfaction came when the court rejected the bail plea of Lones’. Shugufta and her brother John Muhammad were born blessed twins after seven years of their parent’s marriage. The couple married in 1979, was living a modest living in Ponzoo Tral, and was later blessed with four more children. The only thing Beighs’ still cherish was they were living a satisfied happy living. As children grew up, Shugufta’s marriage became a priority. “Believe me it was impossible for me to get any of my children married because of the costs,” Beigh said. 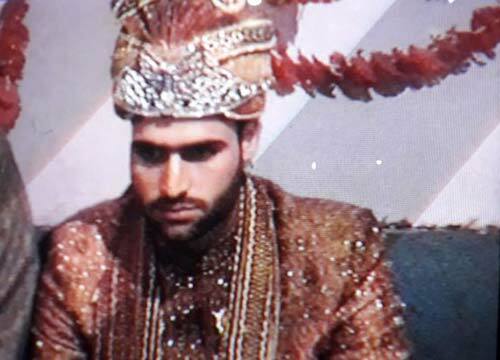 “But it was made possible by a few well-wishers.” In June 2011, Shugufta was married to Sajad Ahmad Lone, living 5-km away. It was an arranged marriage. In 2016, Shugufta started facing torture. At the peak of unrest after Burhan Wani’s killing, Sajad had started asked her to demand a bike from Beigh. Beigh, already struggling, refused. This led to Shagufta being tortured by the entire family. In February 2017, Shugufta was unwell and she started living with her parents. After a month she was taken back and supposedly Beigh thought everything was normal now. The ambulance drove to Sajad’s house where the last rites were done. But Beigh’s brother called him and asked if they really want to bury Shugufta at her in-law’s graveyard to which he had replied yes because he had not thought otherwise. Beigh says neither he nor anyone else from his family could bear the dead face of his daughter. They could not be a part of her last bath but the people who were present there saw everything. “For next three days, only our relatives were there for condolences, but none among their neighbours,” Beigh remembers. When the family was preparing Shugufta for burial, Sajad’s grandmother had cried: “Shubai (nickname of Shugufta) tell me if you were hurt in your leg, or arm or your head.” And one of Beigh’s nephew had his mobile out to record it but immediately there was a scuffle to stop Sajad’s granny from saying things like this. 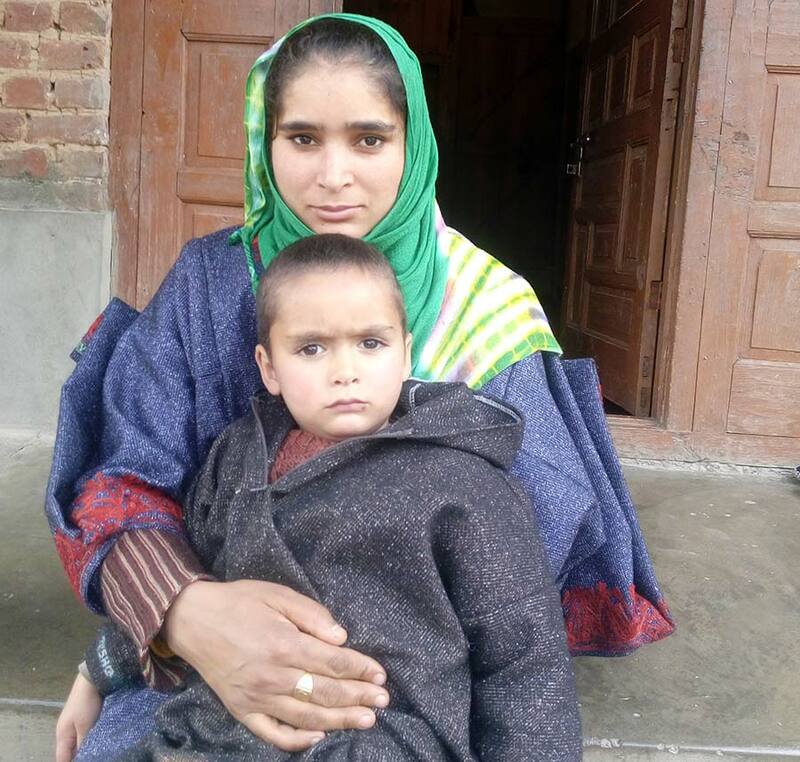 After three days Beighs’ went back to their home and soon a police party from Tral police station reached their home. They asked them to give in writing if the death was natural or their daughter was killed. But Beigh informed the police personnel they will talk about the issue only after the mourning was over. Once the mourning was over and the police could begin second round to Beigh’s family, at least ten village elders from Sajad’s side reached Beigh’s house. Sensing foul, many neighbours assembled too. Elders wanted Beigh’s to give in writing that Shugufta died a natural death and ‘forget’ what happened. “In addition to that they told me out of their 25 kanals of land, they will transfer twenty kanals to Shugufta’s minor son including all cash in the family,” Beigh remembers as if it happened yesterday. On April 17, when different teams from the administration and GMC Srinagar exhumed Shugufta’s body. “I could see my daughter after 33 days. One side of her head was still oozing fresh blood,” Beigh said. The body was taken to Tral hospital where the post-mortem was done and later Beigh drove Shugufta’s body to their ancestral graveyard. Sajjad’s family tried its best to purchase the Beighs’. His sister’s offered them Rs 20 lakhs for omitting her name from the case. But Beigh’s rejected these offers. “How can I forget that she was part of Shugufta’s sufferings? She had even undressed her, once,” Beigh said. Finally, on January 17, 2018, Sajad was arrested and police gave a press conference that they have solved the murder case with the arrested of Sajad, his parents and sister. Presently, the case is going on in the district court Pulwama. But Beigh now wants the court to decide the custody of Ruhaan.